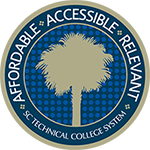 The colleges of the SC Technical College System serve the majority of undergraduates in the state. In fact, 58% of all South Carolinians enrolled as undergraduates in South Carolina’s public higher education attend one of our sixteen colleges – more than all the other colleges and universities combined. Nearly 30% of these students rely on Lottery Tuition Assistance to achieve their academic and career goals. Since its inception in 2003, the System has made nearly 400,000 LTA awards. Not be a recipient of the HOPE, LIFE or Palmetto Fellows Scholarships.